MAY 4, 2015 -- A flexible new data management tool—known as DIVER and developed by NOAA to support the Natural Resource Damage Assessment for the 2010 Deepwater Horizon oil spill—is now available for public use. DIVER stands for "Data Integration, Visualization, Exploration and Reporting," and it can be accessed at dwhdiver.orr.noaa.gov. DIVER was developed as a digital data warehouse during the Deepwater Horizon oil spill response effort and related damage assessment process, which has required collecting and organizing massive amounts of scientific data on the environmental impacts of the spill. 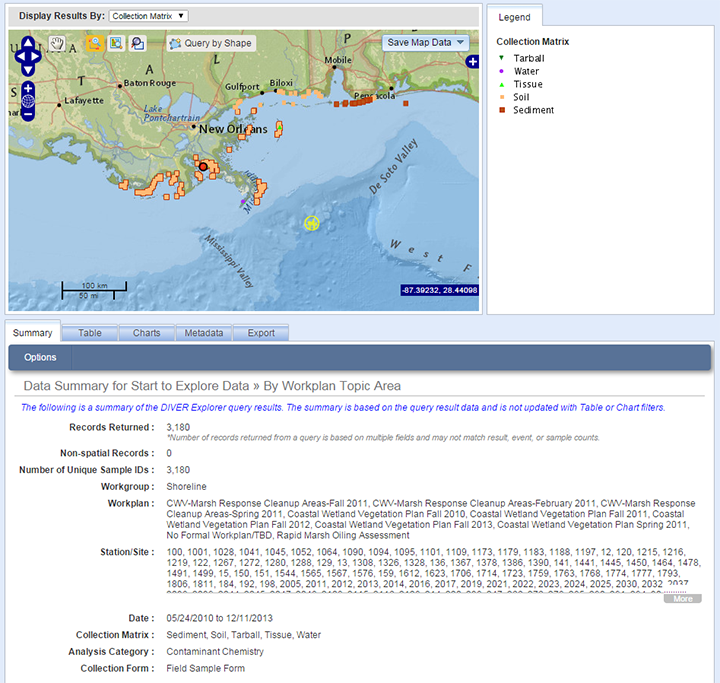 The tool serves as a centralized data repository that integrates diverse environmental data sets collected from across the Gulf of Mexico ecosystem. It allows scientists from different organizations and laboratories located across the country to upload field data, analyses, photographs, and other key information related to their studies in a standardized format. DIVER thus brings together all of that validated information into a single, web-based tool. In addition, DIVER provides unprecedented flexibility for filtering and downloading validated data collected as part of the ongoing damage assessment efforts for the Gulf of Mexico. The custom query and mapping interface of the tool, "DIVER Explorer," provides both a data filter and review tools, which allow users to refine how they look for data and explore large data sets online. Query results are presented in an interactive dashboard, with a map, charts, table of results, metadata (data about the data), and sophisticated options for exporting the data. In addition to the DIVER Explorer query tools, this website presents a detailed explanation of our data management approach, an explanation of field definitions and codes used in the data warehouse, and a robust help section. 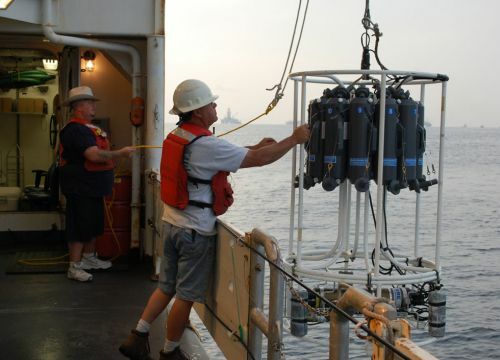 Currently, DIVER provides access to nearly 4 million validated results of analytical chemistry from over 50,000 samples of water, tissue, oil, and sediment collected by federal, state, academic, and nongovernmental organizations to support the Deepwater Horizon damage assessment. As additional data sets become publicly available they will be accessible through the DIVER Explorer tool. Read the announcement of this tool's public launch from the NOAA website.